Anyway, since we're both Vocaloid & KagePro fans I suggested we both draw Ayanos for each other to see them in our different styles. 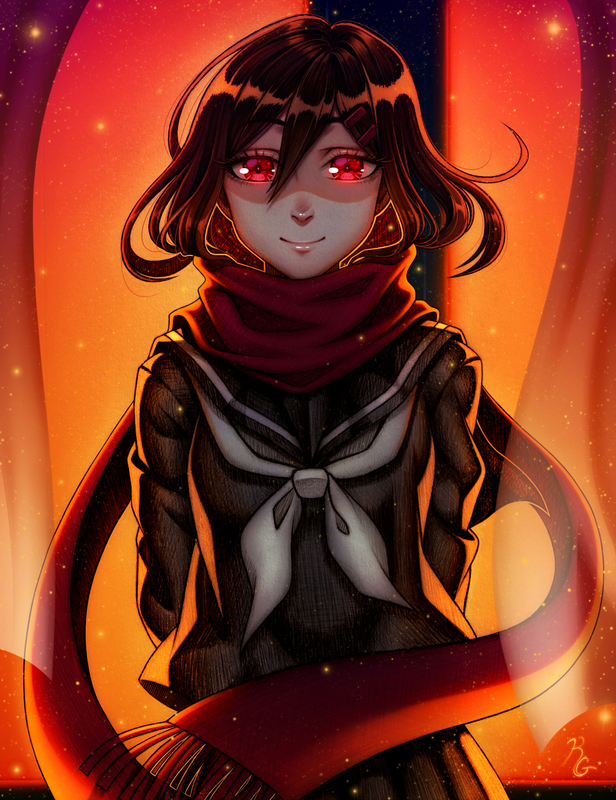 As I was relistening/rewatching the all the KagePro songs for inspiration, I was really drawn towards the sunset classroom scene in Lost Time Memory, so I decided to draw her based off of that song. I believe it took me about 2-3 weeks or so at most to finish this completely if I remember correctly. Including drawing it on paper, coloring it in Paint Tool SAI, and editing it in Photoshop.